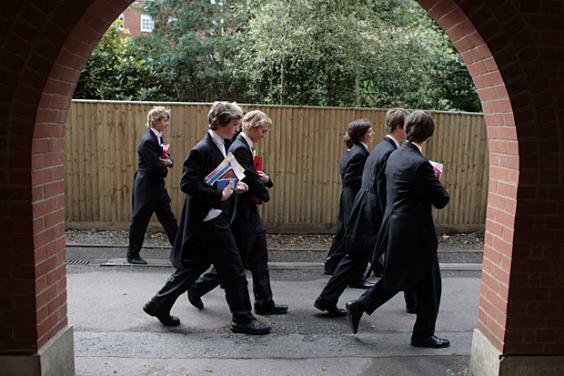 Ahmed Roble is the only one from London to win a full two-year scholarship to Eton, the elite British prep school. A Brixton schoolboy whose mother fled war-torn Somalia says he hopes to emulate David Cameron after winning a scholarship to Eton. Ahmed Roble, 15, will soon swap his south London state school — and home close to the Angell Town estate — for the £37,000-per-year boarding school. He is the only boy from London, and one of only nine nationwide, to win a full two-year scholarship to Eton’s sixth-form this year under a scheme offering places for state school pupils. The teenager, who is sitting his GCSEs at Ark Walworth Academy, beat scores of candidates and came through a challenging day of interviews and tests. He said: “I’m overjoyed — I never thought that I would get the scholarship. Ahmed was born in Holland and moved to London as a five-year-old. He said his father Mahdi left Somalia “for a better life” before war broke out, forcing his mother Layla Burale to flee. He is head boy at Walworth, where teachers expect him to earn A*s across the board in his GCSEs. He is also a volunteer police cadet, a member of Southwark Youth Council and a keen charity fundraiser. Ahmed hopes to study A-levels in history, politics, Spanish and English literature and to win a place to read history at Oxford or Cambridge. But his ultimate goal would be to follow in the footsteps of Old Etonian Mr Cameron. On the school’s past students, he said: “I find it intimidating. I’ve got to go there and make something of myself — I’ve got a lot to live up to.